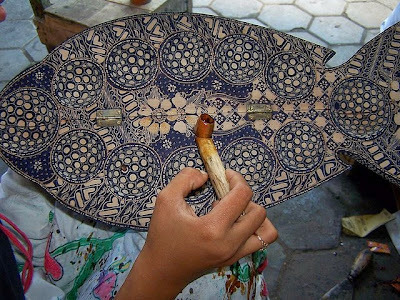 we usually know batik only in limited batik clothes, then it is different to the one in "Krebet" village, Yogyakarta. 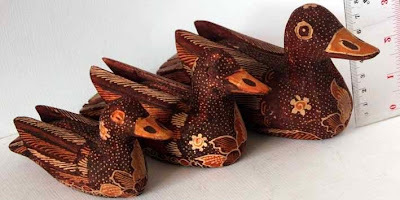 this village located 20 kilometers southwest from the Yogyakarta city is an area that become the center of wooden batik craft and it's has exceeded the world market. Krebet village is actually barren, but because the creativity of the citizens, this village is set to be the one of tourist village in Bantul regency. 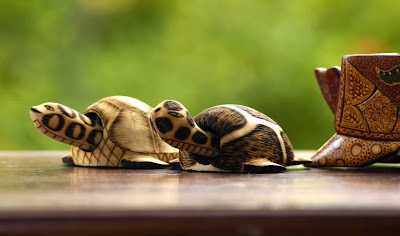 in this village, you can find animal sculptures, masks, and other artifact decorated with batik motifs. if you come to this village besides you can buy a wooden batik craft, you can also learn instantly how to make the wooden batik craft.